How Much Does It Cost To Join Wealthy Affiliate? Daily Net Traffic Review – The Biggest Scam This Year? I will personally be going through the courses step by step to help you to see how it all works. I am now ready to take action and let it work for me just as it is working for others. UPDATE! – I started making sales within the first month of implementing the training. See Further Below For Earnings Proof. Follow along on this journey with me – it’s going to be an exciting ride! John Crestani is well-known in the internet marketing circles and has been featured in many publications including Forbes, Inc, Yahoo, and a few others. The first video which I went over was an OFFICIAL welcome video personally from John. He also introduced other top online entrepreneurs who are also millionaires in the online marketing industry. This exclusive access to other inner circle members is optional but is beneficial if you want to connect with and build your network of like-minded individuals. He goes into a bit of detail about the Jetset Inner Circle. The Jetset Inner Circle is a system which will give you private access to other internet millionaires who are able to provide real insights into the world of internet marketing. Personally, I did not invest in the Jetset Inner Circle since I already connect with a lot of influential people in the internet marketing industry – some of whom are online millionaires. If you are new to this type of business, it may be extremely beneficial for you to connect and build your network once you have the investment. The next page delves into the Super Affiliate Case Studies. This is another optional offer which costs a one-time fee of $97. 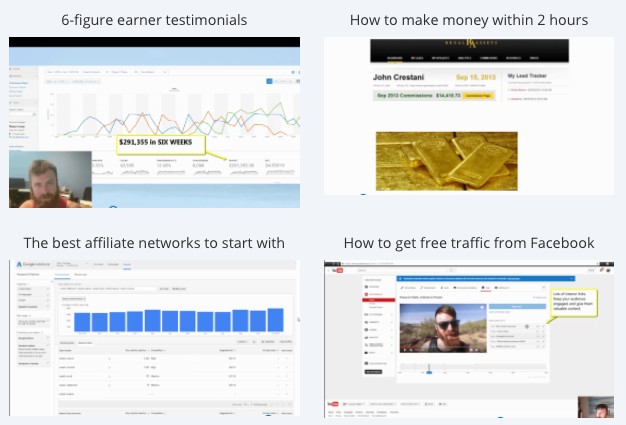 It’s an actual case study where you will be able to SEE real affiliates in action, what they’ve created, and how they’ve been able to earn their income online. As I mentioned earlier, Clickbank is the retailer for the Jetset program, so it’s a legitimate source which has quality digital and physical products. Clickbank will also show you some other products that are similar to the Jetset and you will also have the option to view (and purchase) if you like. This section will go over my experience with the actual internet Jetset system in detail. I can tell you right now that the training which is offered is the REAL stuff. I have been in the industry for over 2-3 years now and I can tell you that I have picked up some new strategies to really AMP up my online business since going through the course. An introduction to the affiliate marketing world and what it has to offer. Did you know that There are 3.75 BILLION people online? And regardless of the topic you choose, you can be very successful! John goes first into the mindset of an entrepreneur – and the way in which they should act, and what they MUST do to achieve online wealth. It is going to take real work and John does a great job in explaining this. Trust me, I was impressed with the way how John explains how to choose an offer…or niche as most people call it. The 23 minutes video was of true value and I can tell you that many other members really appreciated it by leaving comments below the video. Terms like Non-linear and linear are covered in full detail to give you an idea of what and how you will market products or services to an audience. Within this same course, John shows where you can join affiliate networks and how to sign up to them. Some of these recommendations range from low-high paying affiliate sites. This is really a very important module and one that every member should pay very close attention to. 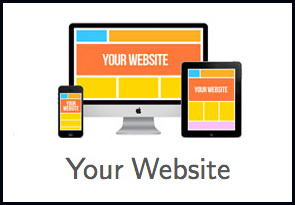 The next three courses focus on how to get free, targeted traffic to your website from the top 3 websites in the world! Once again, John does an excellent job teaching how to achieve all this in the easily digested videos. I especially enjoyed the training about Google since I am more focused on ranking my websites in the search engines using SEO. The super long-tail, high-intent, high-volume keyword trick which John shared is totally mind-blowing to me – I had to pause the video at that time and took some serious notes. I will definitely be using this strategy to get high rankings on one of my website which I have in the tech niche. This will allow me to earn more online revenue. Truly, this is some solid stuff and it was the first I was ever taught this very POWERFUL method. The total duration of these three videos were slightly over two hours in total and I can tell you right now that it may be the best two hours I have ever spent on learning about getting free traffic to my sites. The next training deals with the setting up of my website. Honestly, this training was the least enlightening for me, mostly because I already know about setting up a WordPress website from scratch. However, total newbies will find this training totally awesome and should pay very close attention to it. There are 15 videos in total that cover EVERYTHING as it relates to setting up a WordPress website. Really, nothing is left out of this training. Ashley (the presenter and one of John’s colleagues) teaches this section and has a lot of knowledge about WordPress, installing plugins, writing blog posts, etc. NOTE: The videos presented in the ‘Website Setup’ course were actually taken from the Blog Ninja Course by Jeremy Schoemaker. 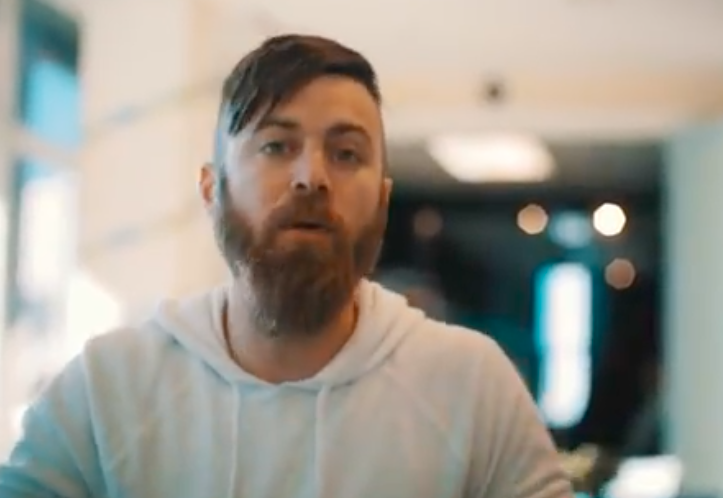 Jeremy Schoemaker is one of the world’s most successful online marketer and has been making money online for a long time now. 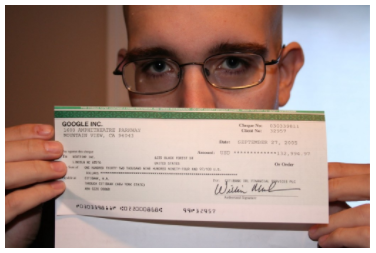 He was made famous when he posted a picture of himself holding up a check which Google sent to him totaling almost $133,000.00 for one month! The most incredible thing about this is that these funds were earned ONLY from Google ads! Now that is something amazing and something to really consider. 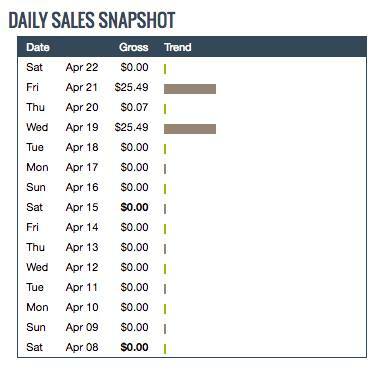 This will give you an idea of what is possible with having an online business. This was the first time I did a course on Copywriting. Even though it was not in-depth, I did learn a lot about the subject and will also use this new knowledge to write my articles going forward. Ronnie Sandlin is the trainer of this course and he is actually a fellow student of John Crestani. I think that many people will find true value from what Ronnie teaches and I can see that this guy knows his stuff when it comes to copywriting. The next two courses are some solid bonus material and in my opinion, maybe the best of the entire training. These bonuses are part of the very successful and highly controversial Rich Jerk course by Kelly Felix. Now, launch Jacking is a very great way of making some killer money online, however, most people approach this process in the most unethical manner. It involves writing positive reviews of products before it is officially launched to the public. Sometimes, these products are horrible, but because of the usually high commission on these types of products, individuals will quickly put up a review with the intention of just making a sale. I understand that many people will do whatever it takes to make money online, even if it does not provide any value to the person who is purchasing. I have learned from Napoleon Hill (author of Think And Grow Rich) that man should never violate another person just to make money. For example, you could contact the actual product owner requesting a test copy so that you will be able to test the product for yourself then provide an honest review based on your experience using the product. Trust me, people will give you much more respect and your credibility will be intact plus people will love and trust you for that. Having said all this, you will learn a lot in the Launch Jacking course and it is really up to you how you want to use this new knowledge. The next bonus course is called ‘Authority Review Sites‘. Personally, the best course in my book. Donny Gamble is the trainer of this course and he really does an amazing job with it. I like his style of teaching as he makes the steps really simple for even the greenest of newbies to understand. 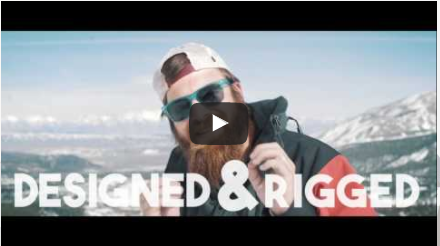 He covers topics such as Choosing Profitable Affiliate Offers, Simple Website Setup Process, The 3 Pronged Content Silo Method (really slick), and ACA Link Building. He shows examples of his websites which are earning up to $2000 per month using all the same methods which he teaches. More examples of how to structure your reviews as well as where to place your affiliate links are taught so that you will be able to earn commissions when customers make a purchase via your affiliate link. So, what do I think so far? I think John Crestani has done a fantastic job showing people that they too can create an online business from scratch which will allow them to make some money online. John is really all about the money and he knows all about teaching it and providing the right materials for ordinary folks to profit online. I have seen many people posted in the Internet Jetset Facebook group that they were able to earn their first-ever online commission due to what John teaches. So, as you can see, the hype about ‘Make Money Online in 2 Hours‘ is actually true. Now, you should know that most of these people are brand new to online marketing. Here you see them posting on social media that they earned their first online commissions in less than a month. If you know anything about affiliate/online marketing, you would know that the average time it takes for people to start earning is around the 3-month mark. Of course, not everyone will be making money using the Internet Jetset system (or any other system for that matter) because not everyone who joins will put in the effort and persistence needed. The most successful members of any legit online programs are the ones who continuously take action to reach high goals in life. I hope you possess those qualities to make this become your reality regardless of which online system you choose. Ultimately, it all really comes down to YOU to make it work. Register for the free webinar to start – only if you are serious about success. This is the entire archive of webinars that have been held for JetsetLIVE members and is included in the $47/mth membership. You should know that these videos are not actually live. They are past webinars with Affiliate Workshop and updates from John and other marketers in the business. What I did notice is that there were mostly high-ticket offers usually offered at the end of some of the videos. Even though those offers are no longer available, I did not like the fact that there was something being sold at near the end. There are tools and resources available which John personally uses, such as the Longtail Platinum keyword research tool, the click funnels builder tool, constant contact email marketing tool, and many other useful tools. There is also a forum where I got to meet other internet Jetset members, however, it does not seem to be so active at all. The Facebook page seems to be where most of the members hang out to share their progress, success stories, websites and so on. 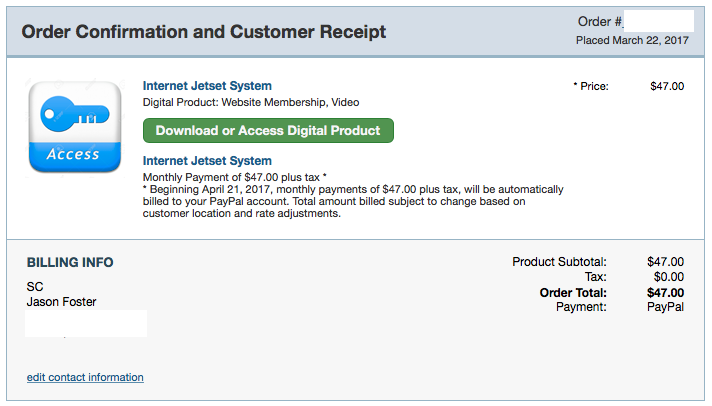 Support is available inside the Internet Jetset members area, just in case, there are any issues with billing, training, etc. One cool feature that I saw was the ‘Skip a Month’ feature. This allows any member to skip a whole month of payment if money is a bit tight for them. Absolutely not! The Internet Jetset is not a scam. The $47 is a great investment for what is offered, especially if you compare the system to similar programs which can sometimes cost thousands of dollars to access. If you would like to learn how to create an online business from scratch which will allow you to earn a consistent income from home, then the Internet Jetset is for you. The program is designed to make people like you and me totally self-sufficient by our own efforts. Or if you would just like to directly purchase the FULL Internet Jetset course here is the secure check-out link to get it. Give it a GO as John Crestani offers you a 60 money back guarantee if the system does not deliver. I hope you enjoyed my journey thus far in my “Internet Jetset Review”. It was a pleasure sharing my experience with you. Are you a current Internet Jetset member or looking to join? What are your thoughts so far? Leave your comments below. I would love to hear your voice chiming in so that we can help to create transparency with the Internet Jetset System. UPDATE (Apr 23, 2017): So, here some quick results after implementing the Jetset training just after 1 month. Put it simply, the training WILL work for you once you follow and implement the steps laid out by John. 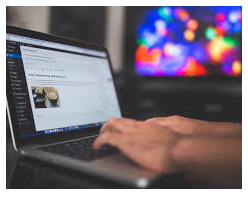 So, if you have not yet made any money online with a PROVEN system, or would like to increase your online earnings, I strongly suggest that you get started now with the Internet Jetset. Thanks for reading and I wish you abundant success in all you do! Hi Jason, thanks for the great review on Internet Jetset. I joined about three months ago and am loving it. There is so much content in there. Well worth the $47. This is fantastic news, Georgina! I am so happy that the Internet Jetset is producing results for you as well. It is truly a great program for anyone who is interested in earning a full-time online income and one that I recommended without hesitation. Hey there, thanks for the review! I was curious, in the webinar I watched, Crestani mentioned doing a review of a Kirby vacuum, then posting the review to YouTube with an affiliate link in the description. Yes. The Internet Jetset training goes in-depth into youtube video reviews and you will learn how to make your reviews genuine even if you did not purchase the product- the total youtube course time is almost 3 hours. You can also choose to use the Jetset Google or Facebook course to learn how to get more traffic to your reviews and, therefore, allowing you to earn more revenue. There is really no need to purchase every item you review – and this is totally ethical once you do your due diligence as it relates to each product that you review. I hope this helps and if you have any other questions, feel free to contact me. Thanks for the great review! Definitely agree on your point of view, I’ve learned a whole lot from the course and it has really set me up for affiliate marketing. Also the step by step guidance makes it very easy to start out! Glad you liked the review, Matt. I am new to internet marketing and I found your review very useful. Thank you for your great job! 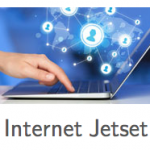 – only purchase Internet JetSet System – Complete Internet Business Education for $47. Do you know what is the difference? Do you know if the Internet Jetset is available for purchase all the time? Thanks for stopping by and I am glad you found the review helpful – welcome to the world of internet marketing! I can tell you that you are making the right moves for sure. With regards to the offer you got from the startup success site, you can go with it or not. As a newbie, I would suggest that you watch the free live webinar first where John explains the entire process in the most simplistic way to you. John will usually give you the option to buy the full Internet Jetset Course via his special link at that time. Bonuses will also be included for you. The Internet Jetset is available for purchase all the time on ClickBank, so if you would just like to skip the webinar and go directly to the purchase page, then go to Clickbank.com and make the purchase. All the best as you get rolling with your online marketing adventure. I read your review on the Jetset System. I found it thorough and exciting. You touched on several points that I would be looking for on the internet. The system seems complete for a person who would be getting started marketing online. I am not a fan of a system though that has upsells after you get rolling and want to keep moving. I do have to tell you that a system on ClickBank that I joined did give me a bad experience. So I am cautious about any money making opportunity that ClickBank offers. You seem to be satisfied with the training and information provided from Jetset. Your insights from completing the training would be what I would be researching to see if the system was legit. And right for me. I’m not in a position to pursue Jetset at this time though, even though you have given your blessing on Jetset. Jetset sounds like a comprehensive system of training and support. Wishing you all best in all your adventures. Thanks for your comment, Kevin and wishing you all the best. Thanks for an in depth review, and you actually paid for it! I will look into this training when i am able to, but can’t afford it just now. Sounds good, but with lots of upsells. Even joining for 3 months would bring some education to someone like me. I’ll bookmark your post, and will be interested to see your updates. Thanks for stopping by, Greg. Hi Jason, Really a good to know about Jetset. Nice review and clear info about it, even though I have not heard before. By the way how long does Jetset exist? Is it very new? In truth, both systems are newbie friendly, however, the difference with Wealthy Affiliate is that you get more help from many members in the community. According to my research, the internet Jetset has been around since the late 2005-2006. I suspect that they will be around for much longer because of the sheer value they give. I have seen a bunch of online businesses but I have not heard of this one before. I’m with the other commenters on this one. I don’t like upsells unless I am getting a great deal. Wealthy Affiliate is one that you check it out for free and then you pay the monthly bill to be a member. I had a hard time with that but I rationalized spending the money because I get training, a website, and hosting. I shell out money for a domain name and that’s it. Affiliorama seems like a good bunch of folks too I may check out their program in the future. Don’t get me wrong Internet Jetset looks good but I am just a BIG skeptic. Someone told me once that most of the businesses online do work. It is the people that try them that don’t. When I set foot out with Wealthy Affiliate I chose not to be that guy and as a result, I am seeing results now. Once you already have the Wealthy Affiliate training, you are good. The Internet Jetset is another option for those who want to learn about affiliate marketing and building an online business. Thank you for your review, of this info product. I see a part of the program can be compared with what you learn in WA. As I can see you are a member. There is also a keyword tool and training in how to set an affiliate website along. It works a little worrying to me is that there are additional sales if you want to connect with others who are successful in training. I myself am a member of WA but of course always looking for more instruction or something educational that can give me and my pages a boost. So my question to you is which of the two platforms do you most value? For the money they cost is the same thing. Thanks for stopping by, Steen. Yes, its true that I am a member of both the Internet Jetset and Wealthy Affiliate. To be honest, the Wealthy Affiliate platform does offer a lot more such as hosting, websites and support. Still, the Internet Jetset does offer some solid education about the Affiliate Marketing Process. Either way is great for any person looking for a solid platform to learn this business. Hi! I have read your review on Internet Jetset and was really curious about the difference between WA and this. Can you explain what you think would be the key differences between this two because I myself am from WA and I am not sure what is the key differences because it seems pretty much the same to me? Also, I felt your review was really indepth and elaborate. Lastly, is there like a starter membership similar to WA where you can try it out or are you greeted with the $47 in the beginning? The Wealthy Affiliate Platform is Free To Join, More Training, More Support, Free Websites, Hosting Included for all your websites and most of all, a very vibrant and helpful community of entrepreneurs. I think Jetset will develop these features as they get more established in the affiliate marketing field. Hey man and thanks for this great review of the internet jetset course. I myself am trying wealthy affiliate at the moment, but was interested in this internet jetset before I chose wealthy affiliate. This review probably would have helped me in my decision. So keep up the good work! I wish you a lot of success with your online business. I was on youtube and had a chance to watch a video on John Crestani It was his interview. I was blowing away from his interview with such a respected and honest person. I no I struggled with affiliate marketing trying to get a hold of focus and mindset. The great thing about affiliate marketing is there is new ideas and different ways and I no first hand John Crestani program is a great key to success. If you learn from the right teacher and mentors and build foundation affiliate marketing is rewarding. Focus and mindset is totally important in this affiliate marketing business. All the best to your success. Hi Jason am really appreciate your effort, good work done. Actually some of us this is our first time of hearing this kind of stuff. Am much interesting online marketing so i always try to get the real and promising one. Jetset, from your review i can see there is a lot of people you can connect to. Do they help you to progress? And what kind of platform are they using? i want to know if they offer free membership. Glad that you took the time to check out my Internet Jetset Review! I see that you are new to online marketing so this will also be a good fit for you to learn the basics. There are certainly a lot of members whom I connect with on the Facebook page. Some are brand new and some are experienced. I offer my help and other members do offer thier help as well. The core of the training is with the Jetset program. It is pretty much organized in a way for people to get a full understanding of how they will be earning money online with a website. There is no free membership available. If you are looking for a program which offers a free membership plus support tools and the right training, I would suggest that you check out my number 1 recommendation (Wealthy Affiliate). Very good review on jetset, it does sound like an opportunity for anyone interested in this type of program. You have shared more than enough information to get people interested in joining this program. How long has this program been on the market, how many members are there right now satisfied? The internet Jetset has been around since Dec 2016 (relatively new in this space). I am not so sure of how many member there are at the moment. I know that their official Facebook page has almost 2K members, however, that does not really give the accurate number of members. As soon as I get the right information, I will let you know. Great review of Internet Jetset, it is great to hear your perspective as you go through the program. I like how they teach about mindset initially, as believe that this is an essential and often underrated element in building a business online. All in all, this sounds like a quality program, things like copywriting and launch training, are not included in any other Internet marketing course that I have seen. I like how you can skip a month as well, I am sure that this will help with retention of members too. I am in total agreement with you, John. 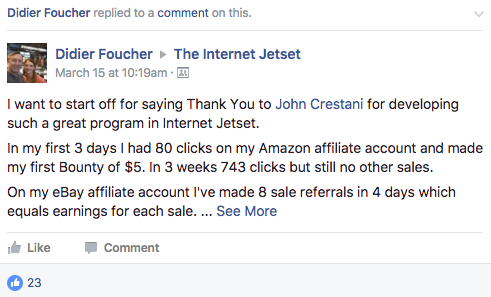 The Jetset is really a quality program that others should check out if they are interested in earning online with affiliate marketing. I did caught the name of John Crestani on my Facebook feed. I didn’t click and find out what it was as recently there are tons of scams appearing on my feed. I thank you for this review as I’d probably passed on another legit program, no thanks to the hundreds of scams out there. I also notice you listed Wealthy Affiliate in your site. How would you rate this Internet Jetset program against Wealthy Affiliate? Thanks for chiming in, Kenny. Yes for sure there are tons and scams out there and it is refreshing to see that the internet Jetset is actually legit. Wealthy Affiliate has been around for a much longer time than the internet Jetset so, therefore, they are more established in the affiliate marketing industry. 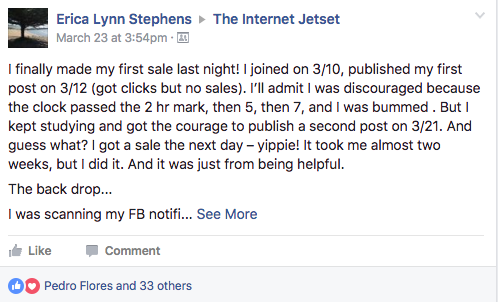 I give WA my top approval, but still, the Jetset is really helping many people out to start their own business online and I am also recommending that newbies give it a go. Nice read. Internet Jetset sounds good and they offer a lot for $47 / month. I’m not sure about earning $133,000 in one month though, that seems a bit far fetched don’t you think? Price-wise it’s comparable with Wealthy Affiliate but does it offer more or less than Wealthy Affiliate (in your opinion)? I’m thinking with regards to the training after you join. I was referring to Jeremy Shoemaker who earned $132,994.97 as an affiliate marketer by using Google Adsense. It’s simply a reference to what affiliate marketing can do to change people’s lives. Many other affiliate marketers are earning those amounts so it is definitely not far fetched. In my opinion, the Wealthy Affiliate platform offers more for the $49 per month and I personally think it is better in terms of support, tools, and community. I always get put off by upsells. As you say in this JetSet that these “optional” extras will enhance your experience and potentially increase your earnings. Is this really true? Or is it just another way to get more money out of a person? How would you compare JetSet to something like Wealthy Affiliate? It is also true that when you connect with influential people in this industry, your network will grow and you have the potential to get some real solid business advice and tactics from those people. Of course, it is optional as we both understand. I think that Wealthy Affiliate has an advantage over the Internet Jetset because they do have a lot more to offer for the general public and the program is much more established than most systems out there in the same space. Overall, WA is my #1 choice for affiliate marketing, however, you will learn some new things from John Crestani that WA does not touch.